In the face of major shifts both in private and pub­lic-sector support for think tanks in Africa, as well as the organizational challenges they face, an urgent effort is needed to raise awareness of the think tank sustainability crisis in Africa and to assist think tanks in the region with resources and capacity building that will enable them to meet these critical challenges. At the first Africa Think Tank Summit in 2014 in South Africa, Dr. Frannie Leautier, the then Executive Secretary of ACBF, reported that 30% of Africa’s think tanks may close or be in serious crisis. Since that time, the TTCSP has been working to raise the sustain­ability question and support the think tank community in the region through research, summits and networking. Our fear is that we will only realize the full magnitude of this crisis after a large number of think tanks have disap­peared from the fragile think tank eco-system in Africa. Understanding the gravity of the situation, The Brook­ings Institution, The Wilson Center, Fundação Getulio Var­gas, Getúlio Vargas Foundation- FGV (Brazil), the Carnegie Corporation of New York, and the Think Tank and Civil So­cieties Program, University of Pennsylvania joined togeth­er to convene a group of the leading think tanks in Afri­ca, public and private donors and policymakers to identity strategies and programs to address the think tank sustain­ability crisis in Africa. The Fit for Purpose: Enhancing the Capacity, Quality and Sustainability of Africa’s Think Tanks Forum took place in Washington, DC on November 3 and 4, 2017. The Forum explored how to strengthen the capaci­ty and sustainability of think tanks so that they can contin­ue to support Africa’s development. However, while many will agree that think tanks have a substantive role to play in this regard, their effectiveness in carrying out this task will depend on the appropriateness and relevance of their own internal structures and capaci­ties. Hence, this Forum not only focused on the substantive areas of support that think tanks can offer to governments and policymakers, but it also explored options to strength­en think tanks and make them fit for the purpose of sup­porting the implementation of key economic, social and good governance policies and programs. Coherent implementation of both agendas will pose a challenge for policymakers in Africa. Despite over a de­cade-long history of development planning, several Af­rican countries continue to experience challenges in de­signing, implementing and monitoring their development planning frameworks. Think tanks have and will contin­ue to play an important role in supporting the roll out of SDGs, Agenda 2063 in Africa, public-private partnerships and good governance initiatives by providing technical as­sistance to governments in all aspects of the implemen­tation process. Specifically, implementation of the global and regional agendas will require: advocacy and sensitiza­tion about the details of such frameworks; strengthened capacities to integrate such initiatives in national planning frameworks; evidence-based policymaking; and the requi­site institutional architecture and skills to monitor or fol­low-up on implementation outcomes. Enhancing the Capacity and Quality of Think Tank Re­search and Public Engagement: The national and regional development requires finely tuned research, analysis and engagements capacities. Think tanks can only contribute to the development of effective and responsive policies by conducting evidence based research and effectively en­gaging both policymakers and the public in policy issues that are key to Africa’s development. Making Africa’s Think-Tanks Fit for Purpose: Think tanks can only carry out the above tasks if they have the requisite internal capacities and resources to undertake these tasks. What are the best strategies and structures (i.e. 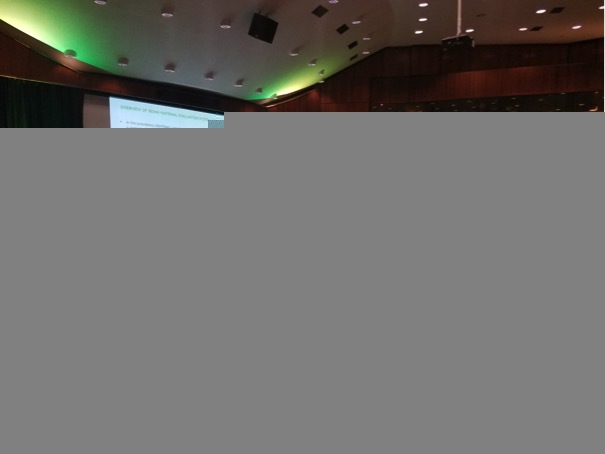 institutional architecture) for the policy and funding envi­ronment in Africa? Specifically what structures, staffing patterns and strategies, products, methods are best suited for the policy and funding environment in Africa? Creating a Sustainable Future for Think Tanks in Afri­ca: The Forum featured some of the best practices and in­novative strategies, products and programs that have been developed in Africa and other regions of the world. APPEL A CANDIDATURE : Transformer les déchets en compost pour fertiliser les champs et jardins- "Projet NEERE"